This web page is about wrongful discharge claims and settlements in the state of Nebraska. It is uncommon for good claims to go to trial, for the reason that they typically reach settlement out of trial. A lot of these litigation cases have mixed verdicts, meaning that they implicated 1, or possibly several claims of wrongful termination as a consequence of firing in violation of public policy, gender discrimination, constructive discharge, sexual orientation, gender expression or gender identity discrimination, whistleblower, race, color, national origin, religion discrimination, disability, workplace retaliation, pregnancy, age discrimination or breach of employment contract. The data displayed exhibits an overview of the various kinds of claims filed plus their respective quantities in NE in 2017. Nebraska has one of the lowest number of employment discrimination and unlawful discharge filings of any state in the US. Russell Hack worked in the Roads Department in Dawes County. He was the only employee who’s age was over 70. The county instituted a new medical stress test policy for employees over 70. Hack was told that he should retire, since he would not pass the stress test, even though he planned on working for several more years. This constituted forced retirement, which violates the Age Discrimination in Employment Act. Traci Shelby started working for the City of Omaha’s public works division in April, 2012. During her employment with the Omaha Public Works Department, she had to endure non-stop sexual harassment and discrimination. She complained about the harassment to her supervisor, but it was not investigated. Anti discrimination laws protect existing employees, and job applicants as well. Haven Manor, and assisted living center in Lincoln, violated the Americans with Disabilities Act, when it refused to hire Amanda Huff, a hearing impaired certified nurse. This unique selection of unlawful termination verdicts and settlements in NE was created for informative purposes. Although you may feel resemblance to any of these cases, understand that every single case is different. 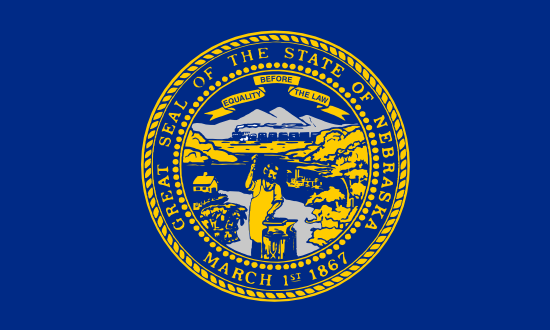 As already mentioned, Nebraska has a very low number of wrongful termination filings, and as a result, the number of cases we were able to gather was very limited. If you know of any other wrongful discharge lawsuits or settlements from a credible source, please contact us so that we can review it and list it on the page. It’s understandable that you want to find out approximately how much money you are likely to get for your unlawful dismissal case. In the event that you settle (or prevail in court), the figure you obtain is mostly based on these factors: job search costs, lost wages, benefits lost, reason of termination, emotional distress and medical expenses. Punitive damages could be awarded in rare cases, in the event the workplace acted egregiously. As you’ll notice from the example lawsuits above, providing a typical settlement for unlawful dismissal claims in NE is actually difficult since every single case is different. The average wrongful termination settlement in Nebraska is between $4,000 – $90,000. Lawyers can be beneficial in brokering a better settlement. The typical courtroom awards tend to be higher, anywhere between $110,000 and $400,000. This is a primary reason companies prefer to reach settlement out of court. If you think you had been fired for some kind of unlawful cause, here is what you should do. Most important, you should get in touch with a wrongful termination law firm in Nebraska in order to discover whether you have a claim worth going after. Don’t procrastinate, because there are actually cutoff dates for reporting wrongful firing claims in Nebraska. Second, you’ll most likely need to submit a timely claim with the Nebraska Equal Opportunity Commission in Lincoln. Here are several tips on filing a wrongful discharge lawsuit.